The 23rd and 24th April of this year were red letter days for Chateau de Bois Giraud. 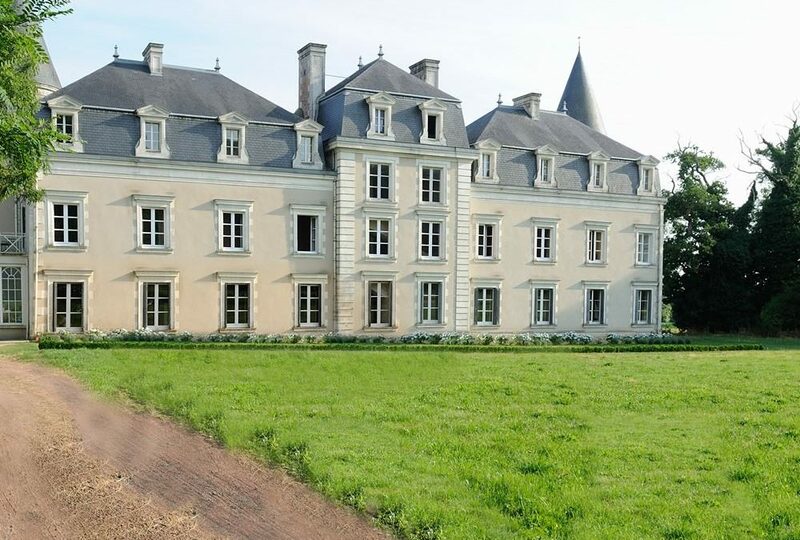 At 1600hrs viewers of Channel Four were able to witness the latest instalment of Escape to the Chateau DIY and for those who were unable to view, the programmes are available on http://www.channel4.com/programmes/escape-to-the-chateau-diy. I wrote last month, there is almost always a sense of shock when seeing oneself on the television screen and this was certainly the case with at least one of the participants. Out of a healthy sense of self-preservation I will not be naming names, save to say that her impression is not at all the case. Of course, no TV programme would claim to encompass the entire experience of any way of life but what it can do is give the viewer an impression as many of the challenges and rewards. This is the major achievement of Escape to the Chateau DIY as it does convey a sense of day to day life at Bois Giraud. As with any such building, the maintenance is not glamourous – quite the opposite in many respects – but is rather the essential work that ensures that the visitors enjoy their holiday. The episodes also display, with a certain degree of brevity and wit, that it is a family home to be enjoyed as opposed to a museum where the guests stand on ceremony and feel the constant obligation to mind their manners. My own favourite detail of the series thus far was not the narrator’s reference to the ’20 acres of rural parkland’ and the ‘gorgeous’ nature of the building, gratifying though they were. Nor was it the sagas of the swimming pool and downstairs loo seat (did I previously mention the lack of glamour?) but one relating to my near life-long fascination with classic cars. Yes, people around the world will now be able to revel in a cameo appearance from a very handsome, and now very rare, Montego Estate Car in the middle of the Loire Valley. Now that’s entertainment!